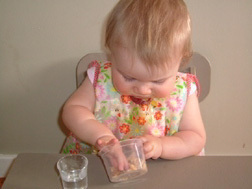 You know you have a Montessori child when . . .
"My son was taking a REALLY long time in the children's library bathroom so I peeked in the door and he was wiping the sink and mirror dry with paper towels!" OK, that one was mine! "When your two-year-old says excuse me when she needs to interrupt your conversation!" "My daughter, 18 months, went to get a bib before a meal. When all the bibs fell on the floor she began to sing 'Clean up, clean up . . . ' while picking them up and putting them back." "Caught my son using his spoon, meant for his cereal, moving milk from his cup to his bowl." 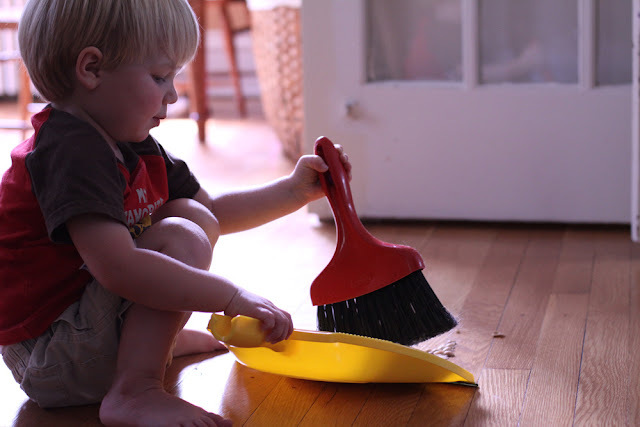 "A few months ago I realized I had a Montessori child in the making when after looking at a book she got up and put in back in the box where it had come from, without prompting!" 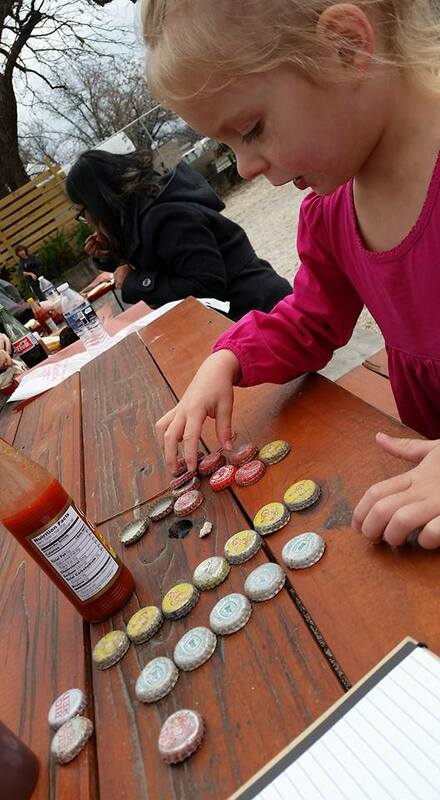 "When you're killing time waiting at a restaurant and your two-year-old sorts the bottle caps she found on the table by color, lining them up neatly, while your friend's kid plays games on her dad's phone... no judgment... it was a looonnnnggg wait! 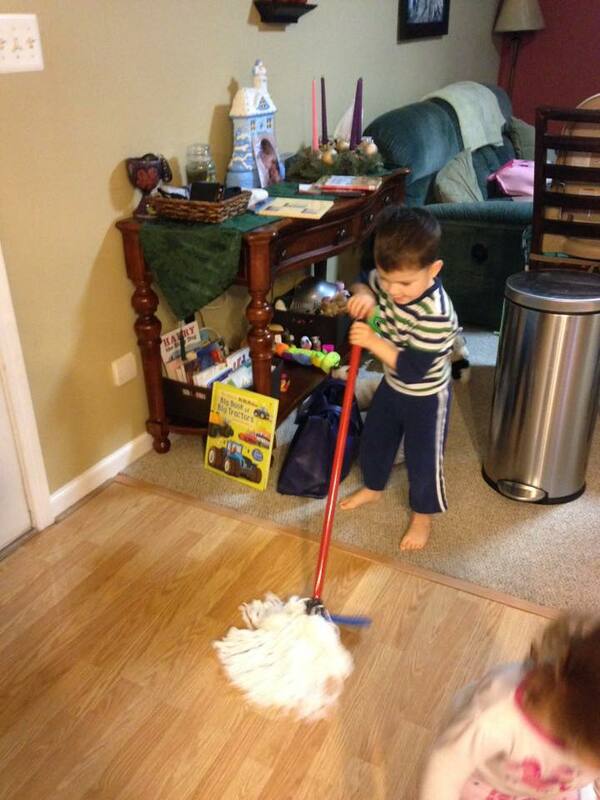 "~Becky L.
"When mopping the kitchen floor is exciting and something all three kids want to help with! "~Bethany A. H.
"When your child calls a shot glass a 'toddler glass.' "~Jade T.
"Your child is walking towards Target to go shopping and says, 'Look! There's a verb symbol!' He was referring to the round red balls outside of the front of the store. "~Renae M. E.
"When the dog tries to take his toy and he yells, 'No! That's MY work!' "~Brittney B. B. "When he puts away a play dough color before taking a different color out. "~Martha A.
OK, another one from me: "When my son keeps all this shoes neatly lined up by his bed! And fixes them when our dog knocks them out of order!" You may also be interested in my affordable online Montessori and homeschool programs and PDFs for birth to age nine at Montessori for the Earth. Need quality Montessori materials? 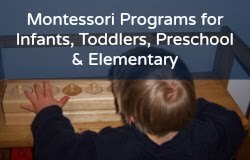 Shop at our favorite Montessori seller (and our affiliate), Montessori Services!